R. Joe & Family: Our 2017 eclipse experience. Location: Southwest of Bowling Green, Kentucky. 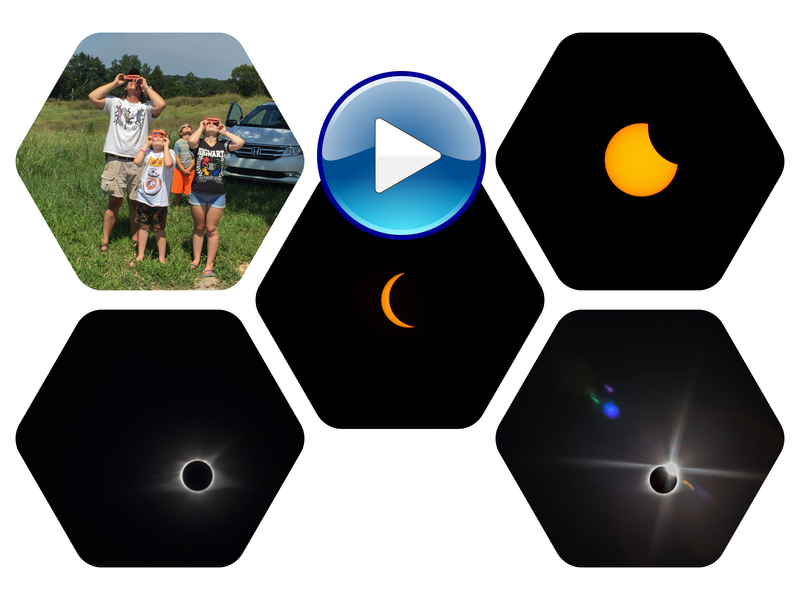 I haven't posted many pictures of our trip to see the eclipse in Kentucky yet because I first wanted to try and help crystalize my families memories of the experience in my mind by putting together a quick video. Note: Quick & Video do not go together in the same sentence! LOL! The end result is not what I was hoping for and I feel it needs some refinement. 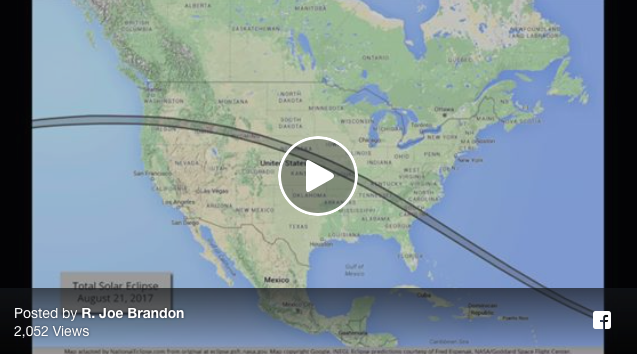 But it does give an idea of what our day with the eclipse was like (minus the traffic home!). I will use this video as a spring board to make the kids a better version this fall. There is a typo I need to correct, a few scenes didn't transition quite right, and I need to get the audio synced all the way through. We watched the eclipse south west of Bowling Green Kentucky. I used my Autel X-Star Premium drone at 399' to provide a landscape perspective of the totality sunset as well as a tripod mounted video camera to show the ground level effects with audio using a Picture in Picture format. I combined these with stills from my consumer grade photos of the eclipse on a Canon 6D 70-200mm L with 1.4x adapter and some camera stills. Regardless of the work I still need to do, it really was a truly awe inspiring once in a lifetime moment! And it is one I hope my kids will always remember. Those two minutes of totality were like nothing I can fully describe or share in images. You could not have asked for better weather or a viewing location. It was perfect. I am so glad that my wife Kristy and I were able to share it together with our kids. Upon reflection of the day it really makes me appreciate the enormity of the impact eclipses had on early civilizations. Especially considering the incredible brevity of the totality (and recognizing some totalities last upwards of 8 minutes). The difference between a partial eclipse and true totality is indescribable. And the ability of the physical objects in our little solar system to reinforce to us our place and time in the cosmos is humbling. We are *all* fortunate to be here in this given moment in time, experiencing the sun and the moon and the our world around us. We all need to remind ourselves that our time here is so brief, so trivial in the scale of the universe, that unto ourselves our life is both an eternity and a universe. We need to celebrate our lives and maximize the experiences and joys we bring to each other. It all goes so fast.